Indy Rainbow Chamber Luncheon. We will gather at Marco's on Keystone for a terrific lunch, guest speaker and networking. Please help us launch our newest event in great style. Please register and make sure that you include entree choices for any guests coming with you! 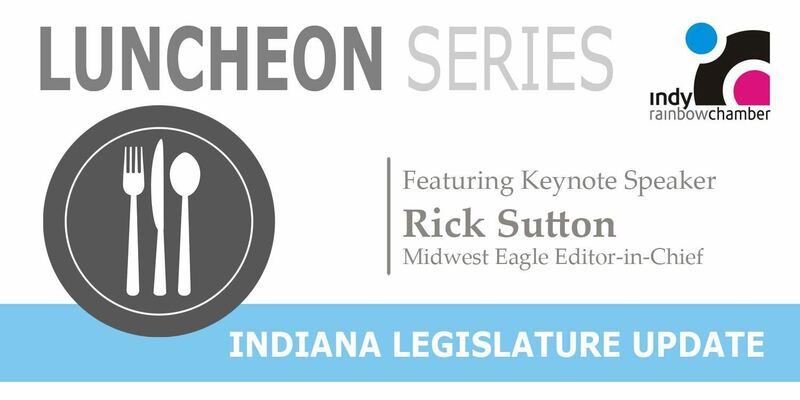 Our Guest Speaker will be Rick Sutton, longtime lobbyist and activist, who will present "Indiana’s Legislative Session: It’s a Love/Hate Thing."